Welcome to another installment of Boy vs. Girl, in which we (Casey Peterson and Marisa Atkinson) read and debate new books at least one of us is really excited about. 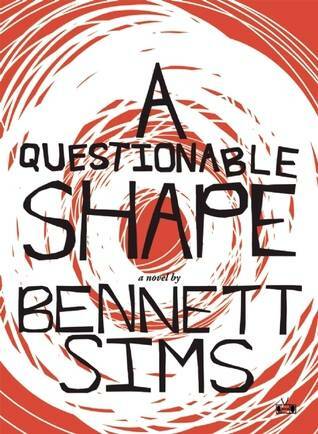 This week we discuss A Questionable Shape by Bennett Sims. Marisa: A Questionable Shape was more a philosophical treatise on the ethics of living with and controlling the undead than it was a novel. That said, it was totally working. Casey: Yeah, I was explaining it to someone as a road/quest/survival story, but with undead. To call it a zombie novel, which is the easy descriptor, is selling it short. A Questionable Shape isn’t an action movie with zombie headshots. It’s much more W.G. Sebald than George A. Romero. And I loved it. Really. Marisa: Can we talk about the absolutely stunning writing? I probably overuse the phrase “brilliant writing” but Bennett Sims: you are a brilliant writer. Did you have any favorite passages? Since the outbreak, I have often reflected that the footnote is the typographic mark most emblematic of undeath. By opening up a subjacent space on the page, the footnote digs a grave in the text, an underworld in the text. The words that are banished there are like thoughts that the text has repressed, pushed down into its unconscious. But they go on disturbing it from beneath, such that if the text were ever infected, they are words that would guide it. Footnotes are a text’s phantom feet. Fantastic! I’ll never view footnotes in the same way again. There are a lot of footnotes in this book, often adding to the text, or offering up an anecdote to Michael’s (the narrator) present narration. For the most part reading was just a joyless war of attrition with my to-read list. . . . For every book I disposed of I acquired three. . . . How to commit myself to one line of texts when there was so much else to read, when time lavished on Russian Formalism was time lost in phenomenology, philosophy of language, critical theory? And so my to-read list layered itself in this way, with upper and lower crusts of priority, undergoing the most volatile upheavals and displacements. . . . I would carry Shlovsky in my backpack . . . and then suddenly other authors–because I had read an interesting London Review of Books article about them, because I had otherwise been made to feel remiss for not having read them (as if the mere mention of an unread author’s name were some cloud of dust I’d been left behind in, kicked up by a competitor I was compelled to catch up with)–would become my number-one priority . . . each promoted to the top of my reading program and abandoned in turn with equal fitfulness and inattention. I realize this is an isolated snippet that doesn’t give the best example of the book’s subject matter or plot, but check out that fine-tuned detailing and turn of phrase! So pithy and delicious. Casey: No, that’s a great quote! Sims equates a reading list with the undead horde! It doesn’t matter how many books you read (zombies you put down/quarantine) there will always be more. And they will come at you faster than you can read (put down/quarantine) them. Let’s go back to the footnotes for a moment. I really enjoyed them. They enriched the text, and I didn’t find them tedious (which footnotes can be). What was your opinion? Marisa: This is going to make you so mad, but I didn’t read all of them! There were quite a few I skimmed, because they pulled me out of the narrative too much. I saw the point in some of them (the footnote you quote above is a great use of footnotes), but other times the main plot won out. Casey: What?! You did yourself a disservice. The footnotes really served as backstory to Michael, Rachel (Michael’s girlfriend), and Mazoch (Matt’s friend), but they also deepened what we knew of the undead epidemic. The footnotes were an integral part of the story! Its phantom feet! Marisa: When they helped advance the plot or give backdrop to the epidemic they were useful, but sometimes the beauty of fiction is that you don’t know (and shouldn’t know) absolutely every angle of the story. Casey: Maybe I’m less upset about your skipping some footnotes, and more concerned with your commitment to Sparkle Motion. I need to know you’re reading these books (my picks)! If I’m going to push through [name/title redacted], you should be doing the same. Plus, like with this book, you enjoyed it. Marisa: In my defense, I didn’t skip, I skimmed, and I only skimmed on occasion. And mostly just the bits heavy with theory and philosophy that referenced academics that I’d never heard of before. Sometimes I felt the footnotes the footnotes were just layering Michael’s personality. So once I got the point: skimmed. And OMG SPARKLES. Casey: So much of the narration was the conversations I’ve had with myself, and others, about a world in which there are undead. Reading this book was sort of like having my thoughts told back to me, with a plot. The book is broken into days, (Monday, Tuesday, etc), and I think some of my favorite pieces of zombie philosophy came on Thursday and Friday. Sims really dives into the problem of having to disassociate yourself from a loved one who has reanimated. And that’s a huge conundrum. That loved one, once turned, is no longer your loved one. But how do you, how can you put down your undead brother/mother/friend/lover? And I think Sims captured (100 percent captured. “Capital C” Captured) the essence of loneliness that comes from an undead epidemic. Relationships are a liability. Everyone is a liability. Marisa: So this leads us to the book’s ultimate ethical conundrum (SPOILERS, PEOPLE! ): What was Mazoch’s endgame? Do you think he was planning to kill his (undead) father if he ever found him? Casey: Chiefly, I think Mazoch wanted to know that his father was no longer among the living. That sense of not truly knowing someone’s fate, particularly in a disaster scenario, is its own form of torture. What Sims is doing here feels like commentary (subtle, though) on a post-Katrina New Orleans. The search for the missing must have drove people mad, and that’s what we have with Mazoch. Marisa: I definitely agree that this was in many ways a post-Katrina commentary. I don’t think it was all that subtle. Casey: But to answer your question, I do think Mazoch was going to kill his undead father. For closure. And because that what you do with the undead. Not that it was going to be easy, which is the point Michael makes throughout the entire novel. Casey: So, what Sims has done here is crafted a novel that deals with loss: things already lost, things found, and things that might someday be lost. It’s a novel about fear and friendship, and it just happens to be set against a backdrop of moaning, undead hordes. A Questionable Shape was a huge success for me. It’s easily one of the best books I’ll read this year. Marisa: I loved it, too. And I can almost guarantee I wouldn’t have picked this one up on my own. So thanks, Casey! I’ll return the favor next month with J. Courtney Sullivan’s The Engagements. Get ready…!